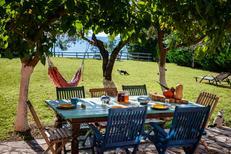 View from the terrace of a holiday home for three people, located directly at the beach on Corfu. Corfu | Picturesque sandy beaches run along Corfu’s coastline between the blue sea and green island landscape. 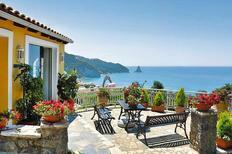 The nearest beach can be reached on foot from these holiday homes and apartments. 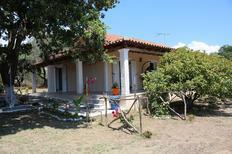 A holiday house on Corfu costs on average USD 1,107 in the cheap travel period and USD 2,489 in the peak season per week. These details are of course in relation to the house and not per person as well as includes the obligatory additional charges. Corfu (or Kerkyra in Greek) is the second-largest of the Ionian Islands, nestled in the Adriatic Sea off the northwestern coast of Greece. 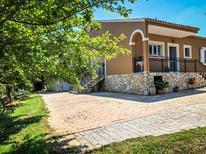 Choosing a holiday home on Corfu is your first step towards exploring one of the most sought-after tourist destinations in Europe. Incredible museums, stunning, sandy beaches, flowery meadows and a year-round pleasant climate are just a few of the reasons that make Corfu such a prime holiday destination. 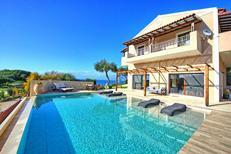 With plenty of pristine beaches nestled along its coastline, this idyllic island is perfect for holiday rentals. Book a holiday home in one of Corfu's picturesque resort towns to enjoy long, sandy beaches, sunbeds, beach bars and crystal-clear waters. Holiday houses near Agios Ioannis put you in close proximity to the Aqualand resort, one of the largest water parks in Europe. 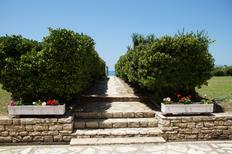 Messonghi is another prominent location for holiday rentals. Here, you can take boat trips to enjoy famous blue caves near Paxos and the Antipaxos islands. 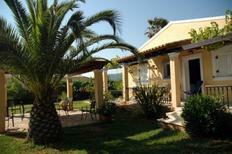 Corfu is a gem for sightseeing, with several ancient monuments. These include the New Fortress, the Old Fortress, Liston Promenade, the Monastery of Paleokastritsa, the Fortress of Angelokastro and Achilleion Palace. 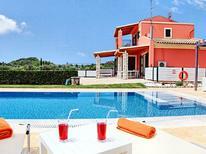 Renting an apartment in Corfu is perfect if you are looking to enjoy a vacation as a group or a family. Save money on hotels by booking a holiday house rather than individual rooms – additional benefits include washing facilities, self-catering and sometimes even a private pool! 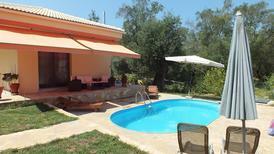 TUIvillas.com is a reliable and competent source for booking a holiday home in Corfu. 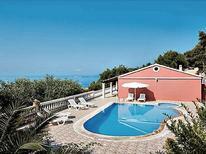 Whether you want to enjoy Corfu in a single-family accommodation or a larger villa, TUIvillas.com is a useful platform providing affordable holiday rentals to suit every taste and budget.